Prior to digital transformation, what it took to run a successful local retail business looked very similar to what running a restaurant does today. But stores then had a “POS view of the world.” They understood only what a customer spent during a transaction, not across their lifetime, making marketing and customer acquisition challenging. A lack of data meant that most things could not be measured, so there was a lot of guesswork and often wrong conclusions. With digital, everything changed. Most things could be measured well and a lot of data was available to remove the guesswork on decisions. Retail businesses that embraced data and adapted their operations (and business culture) had a big advantage. The remaining businesses have struggled, and are unsure how to survive in the new world. Restaurants are undergoing a similar digital transformation – third party digital services are increasingly popular and some restaurants can do more than 50 percent of store sales through these digital channels vs. in store walk-ins. As customers discover and buy from restaurants digitally, everything from store location to in-store operations and management will change, and just like retail, those that can adapt will gain a huge advantage. As customers increasingly use apps to discover and buy food, some restaurants are choosing to save rent and locate onto quieter streets and instead spend those savings on better digital placement to keep prices competitive. Third party delivery services like Seamless and UberEats are going a step further and encouraging restaurants to open “ghost kitchens” – restaurants that are not open to walk-in customers and are dedicated and optimized to fulfill delivery orders. Order ahead is also changing in-store operations. Most store layouts weren’t designed to manage and process a separate channel of digital orders in addition to walk-in customers. Many updated store concepts have significant modifications to help optimize for digital orders. New store layouts are creating separation between the ordering counter vs. the pickup counter, often placing pickup at the front of the store for easy, stress-free pickups. Pickup shelving is also becoming a necessity, as most pickup counters aren’t designed for 40-50 customer orders waiting for pickup. Lastly, having the option for separate fulfillment for digital orders is a valuable store configuration to consider. When there is the ability to add a second espresso machine in a coffee shop, or an additional prep line, or prep kitchen in a restaurant dedicated to fulfilling digital orders, it can help streamline and simplify operations at high volumes (typically hundreds of orders a day). Many digital platforms have customer ratings built in that can provide insight into operational metrics like order error rates and customer satisfaction scores, offered in real time. Companies able to act on these metrics are at a significant advantage vs. those that are “operating blind.” Beyond initial measurement, data can be especially helpful in detecting changing store variables. For example, when the ratings of a popular dish begin to drop, or there is a dip in customer satisfaction after staff turnover, data can serve as an early warning signal before foreseeable issues can turn into big problems that churn a lot of customers. Digital is also changing how restaurants think about their menus, customers and fulfillment efficiency. A view of repeat purchases from customers can sometimes tell a different story than the daily sales view of the store POS. For instance, perceived top sellers can sometimes be the “top churners,” making repeat visits less likely from new customers, changing what restaurants may choose to feature prominently at the top of their menu boards. Digital can also provide insight into customer frequency and lifetime value, enabling restaurants to optimize marketing spend for acquisition to maximize store revenue. Some digital platforms are even able to provide daily demand forecasts that can help reduce fulfillment capacity dramatically, while taking in food-wastage into account. For example, with order ahead data from the Ritual platform, a popular fast casual salad concept in NYC was able to cut fulfillment time by 50 percent by pre-chopping the most popular salad bases ahead of the lunch rush, and do this with enough accuracy so as not to increase food wastage. One of the other fundamental things digital will change for the restaurant industry is enabling dynamic pricing. Restaurants have one of the worst supply/demand mismatches of any local business. Because of biology, people generally eat at specific times of the day. This leaves restaurants to have to pay for rent and salaries for 12+ hours of a day, with very few customers coming in during the majority of this period. The opposite problem occurs during lunch and dinner rushes, where restaurants can’t fulfill their demand, turning customers away because of long lineups or slow fulfillment. The concept of dynamic pricing already exists today with concepts like “happy hour,” used to have differential pricing at different times of a day, but digital will allow for much more sophisticated pricing schemes across many different types of restaurants including quick service and fast casuals. 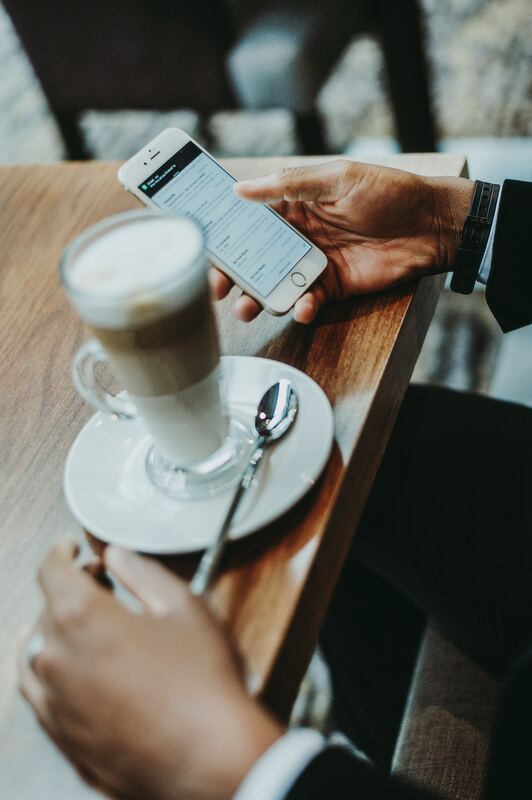 At Ritual, we are already experimenting with dynamic pricing to encourage ordering just before and after peak times helping to flatten the demand curve and ultimately allow restaurants to fulfill more demand during their peaks. The restaurant industry is one of the last segments in local commerce to undergo digital transformation. Much like retail has in the previous decade, digital technology is changing the fundamentals of operating a restaurant, and enabling restaurants to finally take advantage of the accompanying availability of high-quality data and consumer insights that retails has been leveraging of for years. And just like retail, there will be big winners and losers – businesses that can adapt and leverage digital and those that cannot. 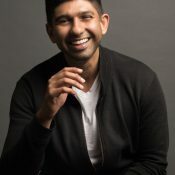 Ray Reddy is Co-Founder and CEO of Ritual, the social ordering app that taps networks of coworkers and colleagues for fast and easy pick up and pay at thousands of local restaurants and coffee shops. Prior to Ritual, he co-founded mobile commerce company PushLife that was acquired by Google in 2011.